Clyde, Frances Rector Trantham, 79, passed away on Sunday, October 28, 2018, at her home. A native and lifelong resident of Haywood County, she was the daughter of the late Sidney and Evelyn Morris Rector. 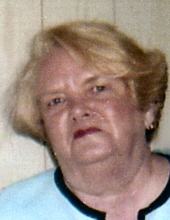 She was preceded in death by her husband, Wayne Trantham, who died in 2012 and a brother, Arnold Rector. She was employed by Patton, Morgan and Clark and General Insurance as a secretary. Frances also worked at Belk's and owned Fran's Fashions in Clyde. She enjoyed camping and being the camp cook, horseback riding and was an avid water skier in her younger days. She was a member of Pine Grove United Methodist Church. She is survived by a daughter, Susan Ledford (Michael); two sons, Jeff Trantham (Shirley) and Ronald Trantham (Melissa) all of Clyde; a brother, Jerry Morris (Sharon) and their son, Charles; eight grandchildren, Brian and Jason Ledford, Brandy Ferguson, Caitlin Smathers, Megan, Luke, Koty and Dalton Trantham; and four great-grandchildren; Samantha Ferguson, Hadley Trantham, Dakota Smathers and Charlie Ledford. Funeral services will be held at 200 p.m. on Friday, November 2, 2018 in the Waynesville Chapel of Wells Funeral Home with the Reverend Billy Ferguson and Reverend Amy White Forga officiating. Burial will follow at Fines Creek Memorial Baptist Church Cemetery. The family will receive friends from 6:00 until 8:00 p.m. Thursday at the funeral home.